Welcome home to this spacious, well maintained condo that is move in ready! Cherry Grove East. This unit has 2 bedrooms, 2 baths, new carpet installed, fireplace, private patio, and 1 master suite. Great floor plan with 1,000 square feet. Newer stove, windows and furnace. All appliances stay. Convenient to 6th Ave., I-225, UC Health, Easy access to downtown, Fitzsimmons Medical Campus, Denver, and lots of other amenities. 2 resident parking permits and 1 guest permit included per HOA. 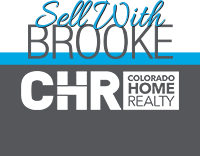 15 Month Warranty provided by Colorado Home Warranty.